Renew your Nebraska Real Estate License with classes from RealEstateLicenseOnline.US. The Nebraska Real Estate Commission requires 18 hours of continuing education, before each professional Real Estate License renewal. We make it as convenient as possible, with our pre-approved and accepted Real Estate Class(es). Simply register, pay, and immediately start learning/earning some of your Nebraska Real Estate CE credits….at a price as low as $9.75 per hour. RealEstateLicenseOnline.US makes getting your continuing education requirement(s) completed, In a much more user-friendly way. Just log-in, then start/stop as life interrupts. You will always return to exactly where you left off. Study on a PC from work and home or most any tablet/mobile device. Complete these class on YOUR schedule….not wasting a weekend in a hotel meeting room, or in the back of a steakhouse, somewhere. CLICK HERE to register, pay and get started. These Nebraska Real Estate License Course(s) have NO HIDDEN FEES. RealEstateClassesOnline.US guarantees this price, with NO “up-sell” for textbooks, workbooks, “certificates fees” or any other additional cost(s). Additionally, Our classes are custom built specific to the Nebraska state curriculum requirements. 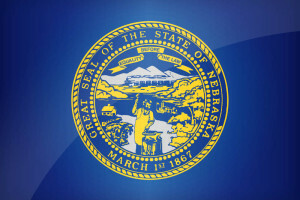 Some online sites sell a generic “50-state” class, that may not be accepted by the Nebraska Real Estate Commission Our classes are Pre-approved, which is why we can make [and keep] the Guarantees we offer. You don’t want your “money-back”. You want the time and effort you put into the classes to be accepted, the FIRST time.